Samsung’s forthcoming Galaxy S9 will retain its headphone jack in a move that will please audiophiles. The revelation is a by-product of the latest leak of the device courtesy of none other than the ever-reliable Evan Blass. Blass tweeted pictures of the new DeX Pad dock that will be sold as an accessory for the Galaxy S9, which also revealed the bottom end of the S9 for the first time, confirming the presence of the headphone jack. The Samsung Galaxy S9 will remain one of the very few high-end smartphones on the market that still incorporates a headphone jack. Most of the competition, most notably Apple, has moved away from the traditional 3.5mm jack in favor of Bluetooth audio connectivity. Samsung, however, appears to consider the retention of the headphone jack as a key point of differentiation between it and Apple, which is its principle competitor in the high-end market. 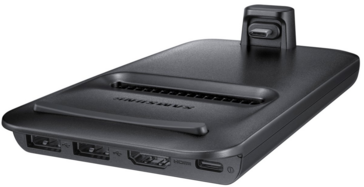 The new DeX Pad is the second-generation version of Samsung’s docking system that, when connected to a monitor and peripherals, creates a PC-like Android desktop environment. Samsung has worked with some developers to release versions of their apps that make best use of the interface. 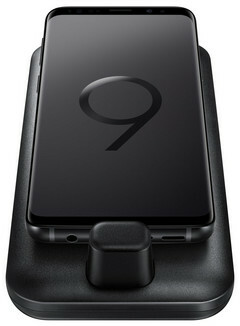 The new horizontal positioning the S9 on the DeX Pad is said to allow users to use the display of the S9 as a trackpad, eschewing the need for a mouse. All will be revealed on February 26, when the Galaxy S9 and S9+ go official at MWC.